795 N. Van Buren St. 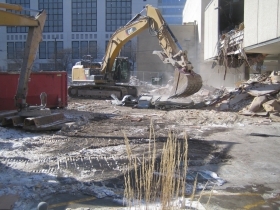 In 2014 Northwestern Mutual demolished the building. The site today is a parking lot with 60 parking spaces for Nothwestern Mutual employees. 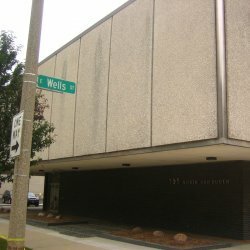 The 15,950 square-foot building opened in 1961 as a data center the Arthur Andersen accounting firm. According to a 1977 downtown survey, it included 53 surface parking spaces. It was owned and occupied for a number of years by the Visiting Nurses Association & Heart Association. The building was designed by Von Grossman, Inc. with engineering services provided by Skidmore, Owings and Merrill. 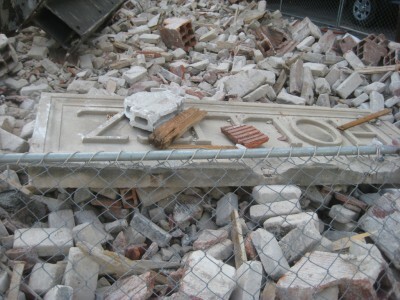 Hunzinger Construction Company served as the general contractor during the building’s construction. Total project costs were estimated at $500,000. The site is 22,649 square-feet. 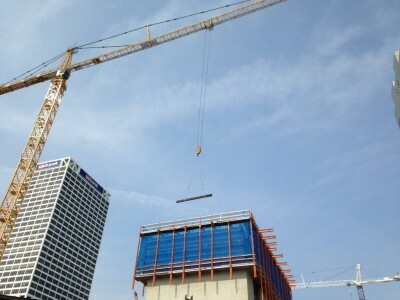 Content referencing 795 N. Van Buren St.
Northwestern Mutual's 34-floor apartment tower is quickly climbing. Massive apartment tower will be one of tallest buildings downtown. Amenities include ninth-floor swimming pool, outdoor fire pit, 34th-floor party room. 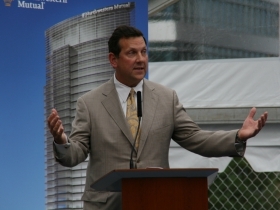 Firm hired by Northwestern Mutual achieved 93% recycling on new tower, but not this time. 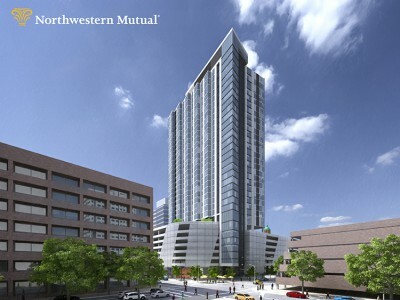 Its less-discussed project, a 33-story residential and parking tower, is quietly continuing. 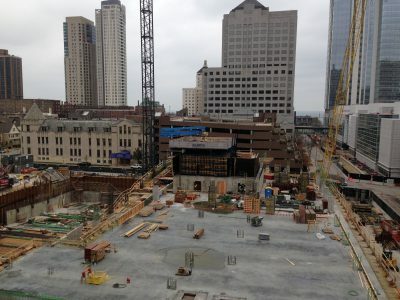 Northwestern Mutual's 32-floor building will be the state's biggest and its basic structure has been mostly framed out. 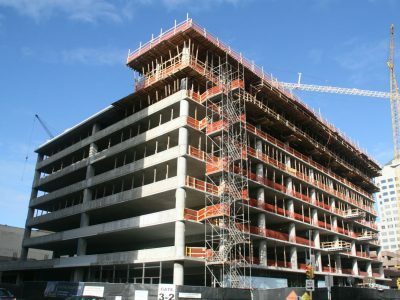 Where Will NM Build New Parking Structure? 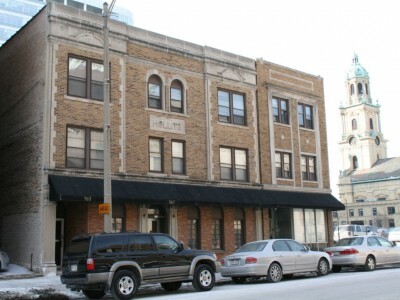 Decision could have big impact -- either good or bad -- on Downtown. Will entire city block be used to build 1,000 car parking garage? And will The Couture dispute ever get settled? 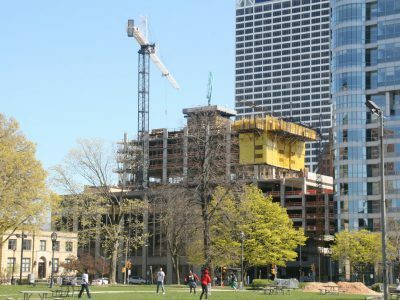 "A beautiful day in Milwaukee" and for assembled power brokers as Northwestern Mutual's new skyscraper gets underway. 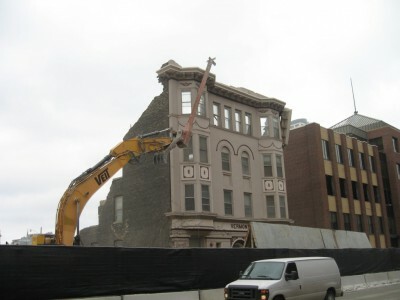 A second NM building, at Wells and Van Buren, is also being torn down. 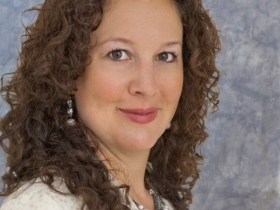 The biggest name: sources say county board chair Marina Dimitrijevic is preparing to run. See somthing wrong? Want to report an issue? Contact us.